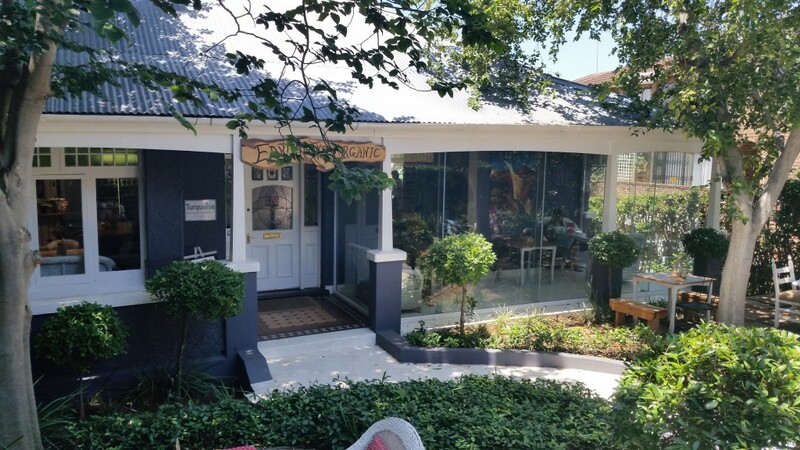 There’s rustic and then there’s dingy and, in truth, Earthmother Organic’s home in Bulwer Road had tipped over from rustic and quaint to dingy and in dire need of a paint. But that’s all in the past now as Earthmother has just moved to a new home in Windermere (Lilian Ngoyi) Road. And what stunning new premises. They are now in what was once a traditional Berea verandah home, which has been converted to business premises. But its old world, homely charm remains in it’s high ceilings, wooden floors and windows and a verandah. Contemporary additions have seen the front verandah enclosed by glass, allowing visitors a chance to sit on there and enjoy both a cappuccino and a view over a pretty garden. You an also sit at a table set under a large spreading tree if you want nothing between you and Mother Nature. Otherwise it’s business as usual with their range of organic foods stacked on shelves and their organic vegetables displayed on a long table in the centre of the room. The cafe has tables inside, on the verandah and outside. The menu is the same as before with breakfast options, toasted sandwiches which offer both diary and vegan cheese, wraps, quesadillas (folded over wraps) and pasta. Vegan alternatives and gluten-free spaghetti are also available. They have speciality coffees and the most amazing fresh juiced squeezed to order. My favourite is the zinger with beetroot, apple, lemon and ginger. And finally there’s superfood smoothies if you want to supercharge your day. Desserts include baked carrot cake and a raw vegan cashew nut cheesecake. They serve a pretty decent cappuccino as well. At the back of the premises are two retail outlets, one selling clothing and the other crystals and semi-precious stones. Lots to like here in this new adventure. 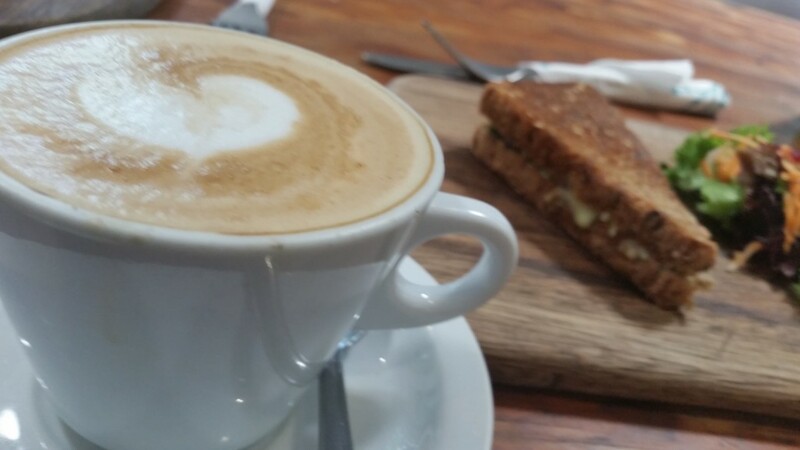 Cheese, tomato and pesto toasted sandwich and a cappuccino make for a delicious light snack.